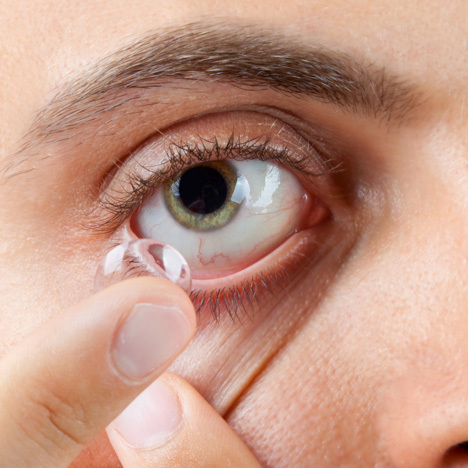 News: miracle material graphene has been used to develop infrared sensors, which could be inserted into contact lenses and allow the wearer to see in the dark. Engineers at the University of Michigan have used graphene - a material formed from a single layer of carbon atoms - to create sensors that can detect the full spectrum of light, including infrared. The sensors detect light by measuring the behaviour of electrons and changes in current between two layers of the material, separated by an insulator. Usually infrared sensors such as those found in night-vision goggles require bulky cooling to prevent the devices overheating, increasing their size. However, the graphene sensors do not require cooling so can be produced as small as a fingernail and developed to be tinier still. Once small enough, the sensors could be embedded into contact lenses or mobile phones camera lenses and used to create imagery in completely dark environments. Last year graphene was earmarked by scientists as a possible solution for thinner and more pleasurable condoms.